The WDM (Wavelength Division Multiplexing) transponders, also called O-E-O (optical-electrical-optical) wavelength converters are widely deployed in a variety of networks and applications nowadays, especially the in WDM networking system. In the previous article “What’s the Difference Between Transceiver & Transponder?“, we have learn that the basic concept about the transponder and make clear the difference with transceiver. Today, I am going to talk something about the applications of WDM transponders through several practical cases. WDM transponder is an optical-electrical-optical (O-E-O) wavelength converters which is designed to performs an O-E-O operation to convert wavelengths of light. Figure 1 shows bidirectional transponder operation (the transponder is located between a client device and a DWDM system). From left to right, the transponder receives an optical bit stream operating at one particular wavelength (1310 nm). And then it converts the operating wavelength of the incoming bitstream to an ITU-compliant wavelength and transmits its output into a DWDM system. On the receive side (right to left), the process is reversed. The transponder receives an ITU-compliant bit stream and converts the signals back to the wavelength used by the client device. As the above mentioned, the WDM transponder is widely used in many networks and applications. Here are three classical application schemes of the WDM transponders. As we know, multimode fiber (MMF) is used for short-distance transmission while the single-mode fiber (SMF) is used for the longer-distance transmission. Mode conversion is required in the network since the network distance requires to exceed the limit of MMF or in the case that equipment is designed with multi-mode port but connectivity is required to single-mode equipment. As the Figure 2 shown, two switches are connected by the WDM transponders which convert the MMF to SMF, enabling the network connectivity across the distance between the switches. In addition, the WDM transponder can also be used between a 10G SFP+ DAC (Direct Attach Copper) cable to a SMF. As the Figure 3 shown, a 10m 10G SFP+ DAC cable is used to connect the 10G switch port to the transponder (in the left location); A pair of multimode SFP+ transceivers provide the connectivity between the transponder and the 10G switches (in the right location). 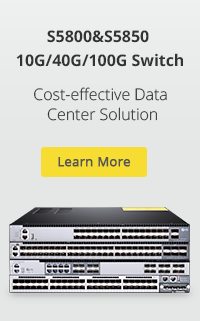 This solution is ideal for the application which requires to connect switches exceeds the distance limitation (10 meter) of 10G DAC cable. In this case, two dual fiber switches are connected with a single fiber via two transponders. The single fiber is single-mode fiber (1310/1550 nm) and operates with BiDi (bi-directional) wavelengths. See Figure 4. Dual fiber uses the same wavelength over two different strands of fiber—one strand as Transmit (Tx) and the other as Receiver (Rx). See Figure 5. By converting the dual fiber to single fiber, the network can double the capacity of the exisiting infrastructure, as the Figure 6 and 7 shown. In this application, two other switches are added to each link. The transponder doubles the capacity of the dual fiber link by converting each strand from a dual fiber link to a BiDi single fiber link. 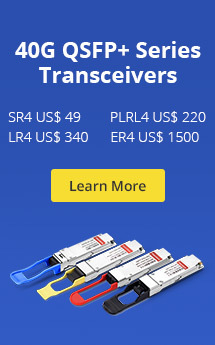 In this case, the transponder doubles the capacity of two dual fiber links by converting each strand of the dual fiber to two BiDi single fiber link, providing redundancy protection between the two switches. 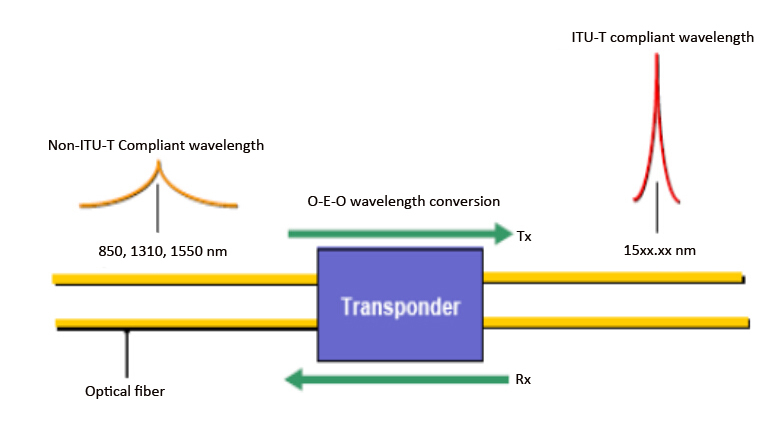 Wavelengths conversion is the most common application of a WDM transponder. Fiber network equipment with fixed fiber interfaces (ST, SC, LC FC, etc.) operating over legacy wavelengths (850 nm, 1310 nm, 1550 nm) must be converted to CWDM (Coarse Wavelength Division Multiplexing) or DWDM (Dense Wavelength Division Multiplexing) wavelengths via a WDM transponder which is to automatically receives, amplifies, and then re-transmits a signal on a different wavelength without altering the data/signal content. As the Figure 8 shown, a 10G switch with signal output at 1310 nm is required to link to a CWDM Mux/DeMux channel port (1610nm wavelength). A transponder configured with a standard SMF SFP+ and a 1610nm CWDM SFP+ is used between the switches and CWDM Mux/DeMux, achieving the wavelength conversion. You should choose the corresponding transceivers and linecard to configure the transponder according to your requirement. This entry was posted in Network Media Coversion, WDM & Optical Access and tagged OEO transponder, WDM. Bookmark the permalink.